I have been crafting a little recently but I couldn't show until now as I was making this as a gift for a friend's birthday last week. This took me lots of hours but it was a labour of love as it was for my friend Lynda who I know is in need of more knitting bags (she is the knitting queen you know). I do love working with hexies though, it was a real pleasure. 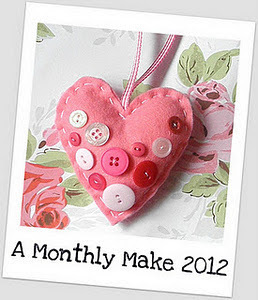 As we are nearing the end of this month I will enter this as my February monthly make over at Annies. I am still pottering with my crochet squares and I will start posting out once I have a few more ready. 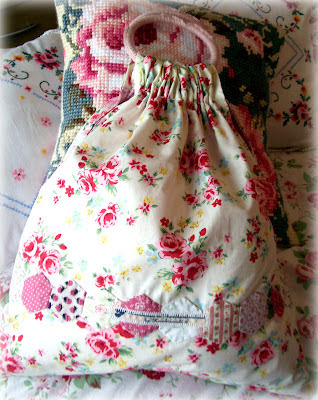 Love the knitting bag, I keep thinking that I really should dabble with some hexies as I've never tried them! But you know what it's like lots of ideas and not enough time to do them all. Your friend must have absolutely loved that bag,what a nice friend you are,the colours are so nice just my kind a fabrics,well done..
O Kandi that knitting bag is so pretty. 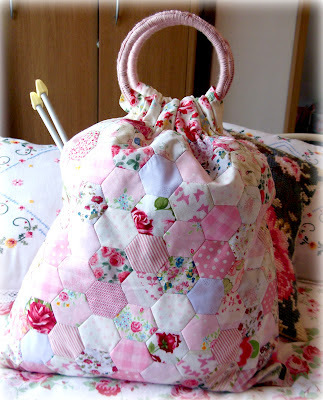 Oooh I love that bag :) it gives me an idea for some abandoned hexies I've got tucked away somewhere as they are sewn together in a rectangle...a discarded make! Thank you for the inspiration!! 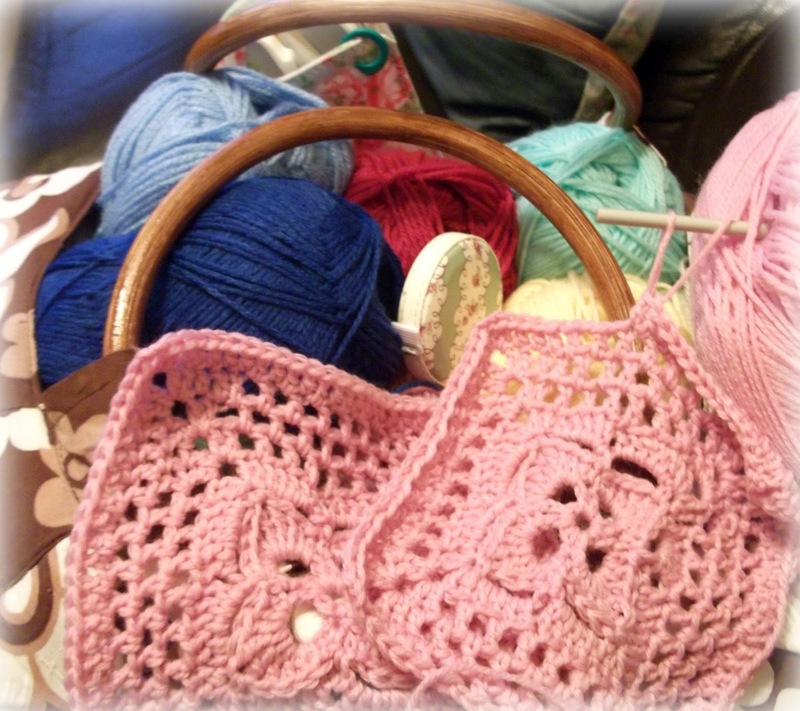 Hexies are so addictive aren't and that bag is so pretty - lucky lynda! Oooh, love the hexie bag, such pretty colours!! Your bag is gorgeous, I love the hexies. Your friend must love it! I love the hexie knitting bag. You're getting on nicely with your crochet. Keep up the great work. The knitting bag is gorgeous!!! What a lucky friend.